THE UNIQUE AND EXQUISITE BARVIVO PACKAGING MAKES THIS PIECE THE PERFECT GIFT - Imagine walking into your very best friends' birthday party and handing him this stunning decorative gift box. It will be a great ice breaker for people and make an excellent topic of conversation at the party. But what's even better is that you will have everything you need to help open some amazing wines and get the party started right at the spot. DON'T BUY ANY WINE OPENER ONLINE OR IN A STORE BEFORE READING THIS - corkscrew wine opener made of low-quality stainless steel or other materials doesn't offer the same durability and efficiency as the top rated BARVIVO corkscrew screwpull which is made of premium stainless steel to ensures easy removal of both natural or synthetic corks. We've had high-end restaurants and bars around the world saying they love and endorse our wine key. Don't compare on price, you get what you pay for. BY FAR THE EASIEST MANUAL CORK REMOVER TO HANDLE - The beautiful wood handle is designed and formed to give you a unique feel of the wine opener full sets and offer superb control when removing, both, wine bottle foil and wine corks. The integrated serrated foil cutter makes this piece a true multitool, it offers all the tools necessary to open your favorite wine bottle with style - this is also why our corkscrew is so commonly bought by servers and waiters all around the world. Looking for ideal Custom Corkscrew Wine Opener Manufacturer & supplier ? We have a wide selection at great prices to help you get creative. All the Wine Opener Full Sets are quality guaranteed. 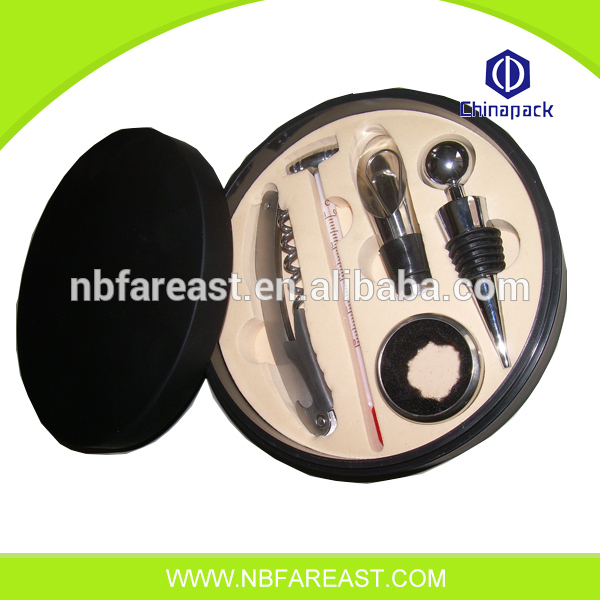 We are China Origin Factory of Corkscrew Wine Opener Full. If you have any question, please feel free to contact us.